Update: As expected, THQ Nordic has confirmed the release of Darksiders Warmastered Edition for the Switch. The company has also added a release date: April 2. The game will be available both at retail and digitally for $29.99. Also, the leaked trailer below is now official, so you can enjoy it again or for the first time by scrolling down. While it has been rumored through retail listings for a month or so, it seems like THQ Nordic is ready to announce that the HD remaster of the first Darksiders game is coming to Switch before too long. This version has previously been released on PlayStation 4, Xbox One, PC, and Wii U, but has not come to the Switch since its release in November 2016. The announcement trailer was found by the Australian Nintendo website VOOKS, which picked the trailer off THQ Nordic’s website , clearly announces the HD remaster for Nintendo Switch. While no official PR has been released, and thus no real details, it doesn’t seem like the port is particularly far off. You can watch the accidentally uploaded trailer below. Funnily enough, the trailer has been taken down and replaced it with this gif. 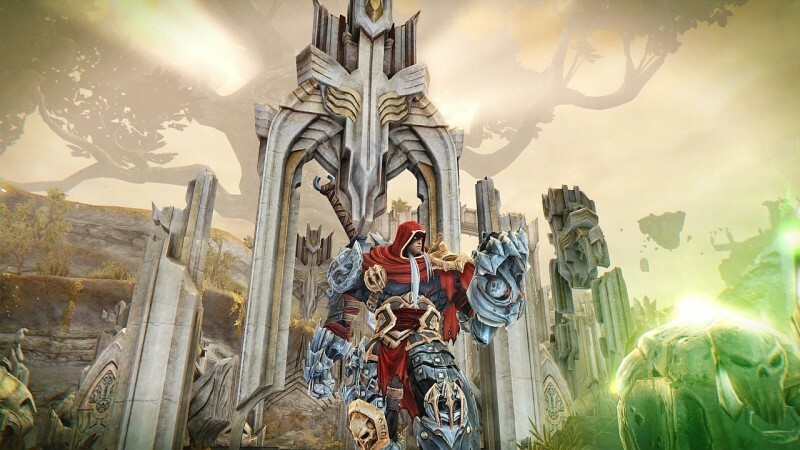 The original Darksiders was released in 2010 and met with acclaim as a well-made take on the Legend of Zelda formula. The Warmastered Edition bumped up the texture resolution and, at least on PS4 and Xbox One, ran at 60 frames per second, though that’s not guaranteed for the Switch version. We’ll know for sure when THQ Nordic officially announces it and supplies details. It seems likely that, if Warmastered (ugh) edition is coming, then Darksiders II: Deathinitive (ugh) Edition is also on the way.